What the heck are Essential Oils? Get Started with Essential Oils! 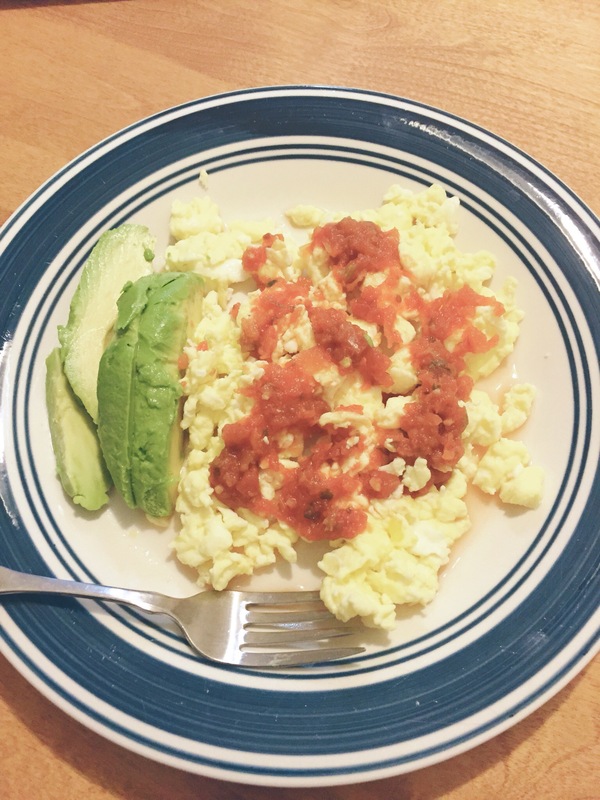 I’ve found in my few whole 30s that the first 3 days are “easy.” Not easy, as in I have no cravings, but easy in that I’m excited to try new foods and to meal prep. Meals are a treat, and not yet a chore. I’m really liking the 7 Day Meal Plan from the Whole 30 Cookbook. I’ve made some changes to fit my style (er…I forgot to buy Basil at the store, so won’t be making Pesto, but will make some vinaigrette instead). Also, vinaigrette is a hard word to spell. One downside to the cookbook is that it doesn’t include a shopping list for the meal plan. Not a big deal since you can search the whole30 forums for one. Another downside, is that this meal plan is expensive. It’s more than I’m accustomed to spending for groceries *BUT* worth it in the fact that I will stick to it and eat my leftovers. The groceries will also likely stretch for more like 8-10 days since I sometimes doubled things or bought more than the 2 servings required for the recipe. All I know, if my last 2-3 Whole 30s are any sign, Day 4-7 I will kill for hot, buttery, bread. Just thinking about it now is making me salivate! M2: Perfect Protein Salad (Basically, lettuce, paleo mayo w/ ranch seasoning, canned, organic chicken (TJ’s! ), and any veggies you so desire). 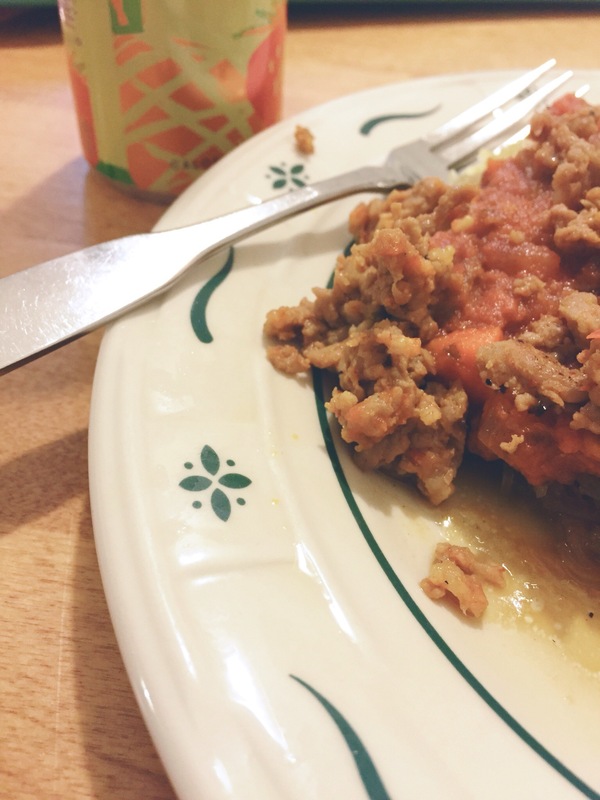 M3: Spaghetti Squash with Tomato Sauce and Perfect Ground Beef – I made Italian Sausage. Truth be told, I’m not the biggest fan of Spaghetti Squash, but I do really like the recipe from the Whole30 Cookbook. Also – Ghee fixes everything. Anyways – I’m feeling good. My long term goals are to lose weight and feel fabulous by March 12, the day I get married. I don’t consider myself overweight or fat by any means. I just want to lose 5-10 pounds and build more muscle! I’ve recently committed to the ONEChallenge. This means I’m committing to 1,000 miles this year, walking or running. Treadmill miles I’m at about 6. 994 miles to go! It’s from an oily group I’m in. My workouts are usually consistently inconsistent. I am *usually* pretty good about working out 4 days a week, but lately it seems like I’m lucky if I get 2 in. I was doing a Bigger, Faster, Stronger Program with my fiance, and got my squats up to 145, which I was really excited about. I’m also halfway to a real, unassisted pull-up! BFS got to be a bit much on my joints since it is lifting 4 days a week, and maxing out. So, we’re currently reformulating my workout to involve half an hour of cardio (3 miles!) and half an hour of weightlifting! Woohoo!